This Black History Month, we’re highlighting artists and projects working to preserve and celebrate black history and cultural legacy. 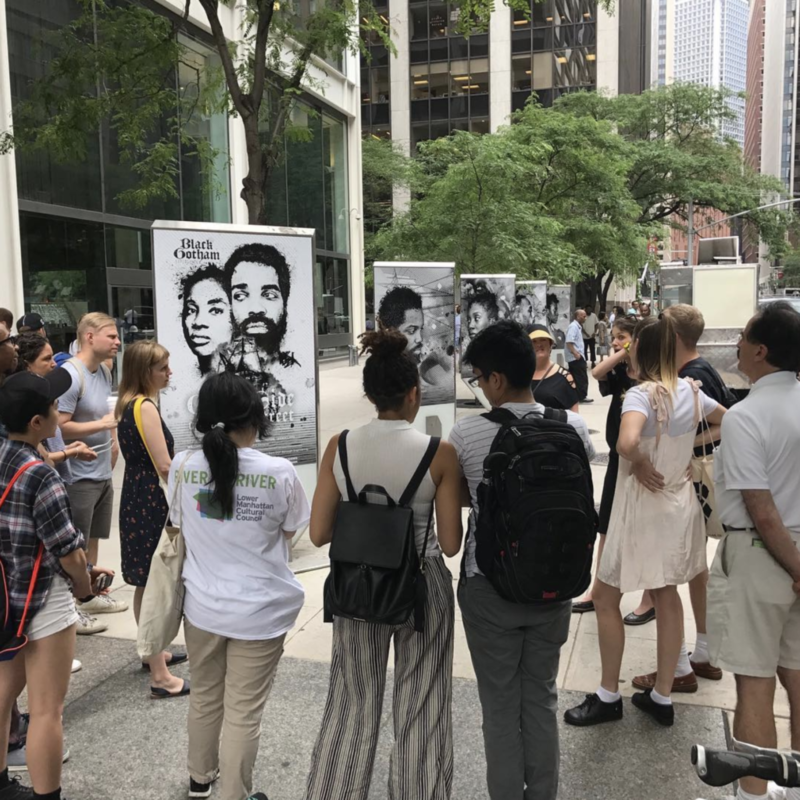 Preservation of these histories is not only an act of resistance against erasure, but a vehicle for imagining and building a more hopeful, equitable future. Established in 2010 by artist and historian Kamau Ware, Black Gotham Experience is a series of interactive walking tours in New York City that educate participants about black history through three stories that revisit Manhattan starting in 1623 and move forward through the next three centuries: Other Side of Wall Street, Caesar’s Rebellion, and Sarah’s Fire. To supplement the tours, Black Gotham Experience has also produced a graphic novel series as a storytelling tool, illustrating the African diaspora across this same time period. Our Mothers’ Kitchens is both a literature & cooking camp and a dinner series inspired by the work of black women writers. Through the camp, artists and A Blade of Grass Fellows Khaliah Pitts and Shivon Love introduce young women of color to black women writers like Ntozake Shange, Vertamae Smart-Grosvenor, Zora Neale Hurston, and Alice Walker. The dinner series also takes inspiration from these authors, lifting up and honoring the ways their writing weaves together food and language as a means of liberation. 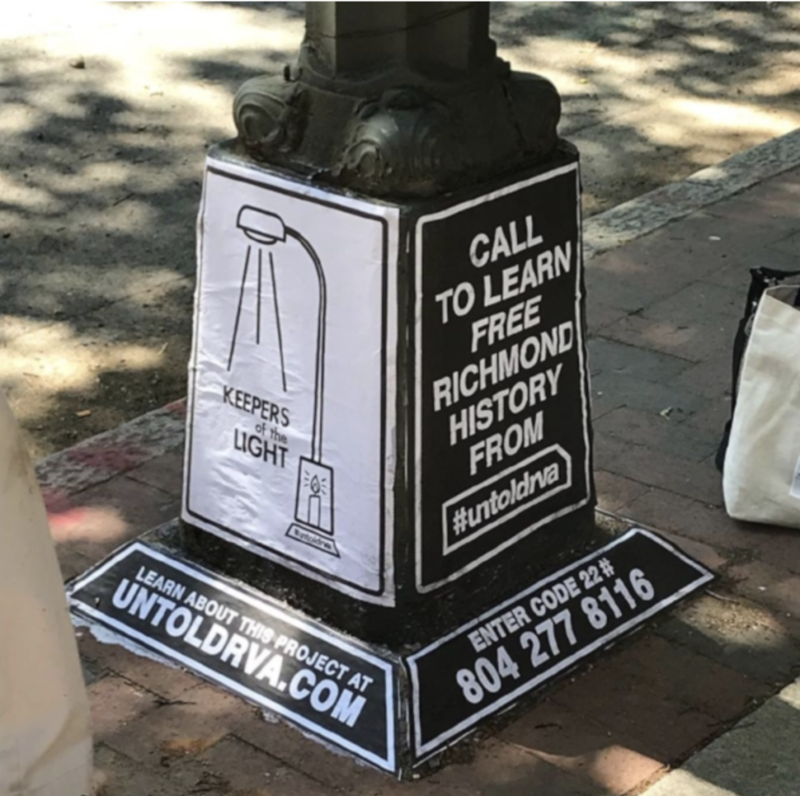 As Confederate monuments come under public scrutiny and are increasingly protested and removed from cities across the country, Paper Monuments in New Orleans offers a participatory, community-driven design process to redevelop these public spaces. 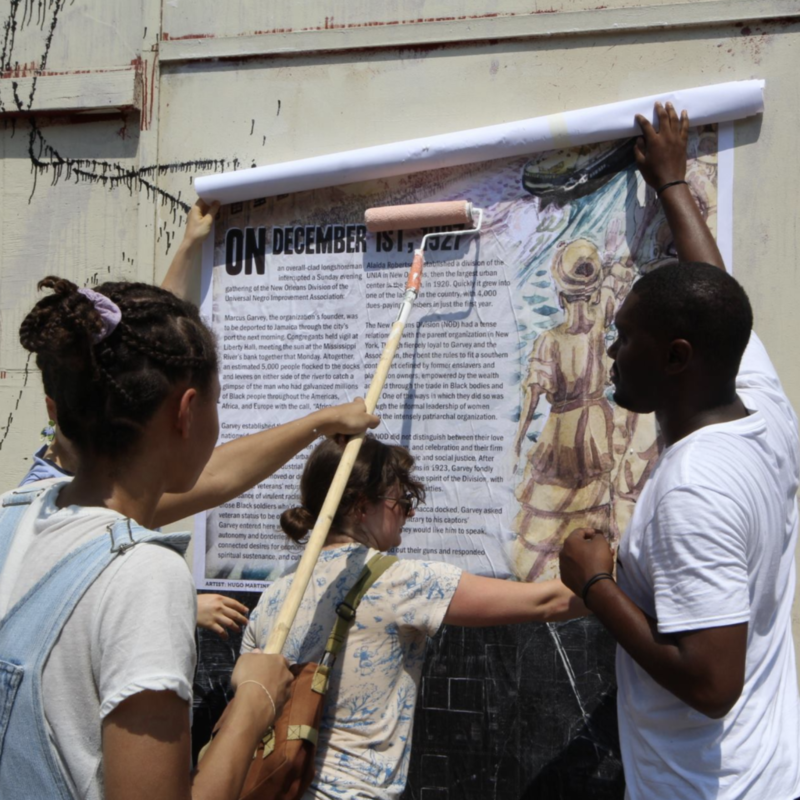 Through community programming, postering campaigns, and a platform for new public monument proposals, Paper Monuments honors the erased histories of the people, events, movements, and places that make up New Orleans, giving current residents an avenue to contribute to their city’s public narrative. Paper Monuments is a project of Colloqate Design, a design justice collective founded by architect and organizer Bryan C Lee. Artist and A Blade of Grass Fellow Dread Scott’s Slave Rebellion Reenactment is a large-scale community performance that will reenact the German Coast Uprising of 1811, the largest rebellion of enslaved people in American history. Telling the story of the rebellion through reenactment will highlight the self-determination of the 500 enslaved people who envisioned emancipation and abolition and rose up in solidarity towards these ends. 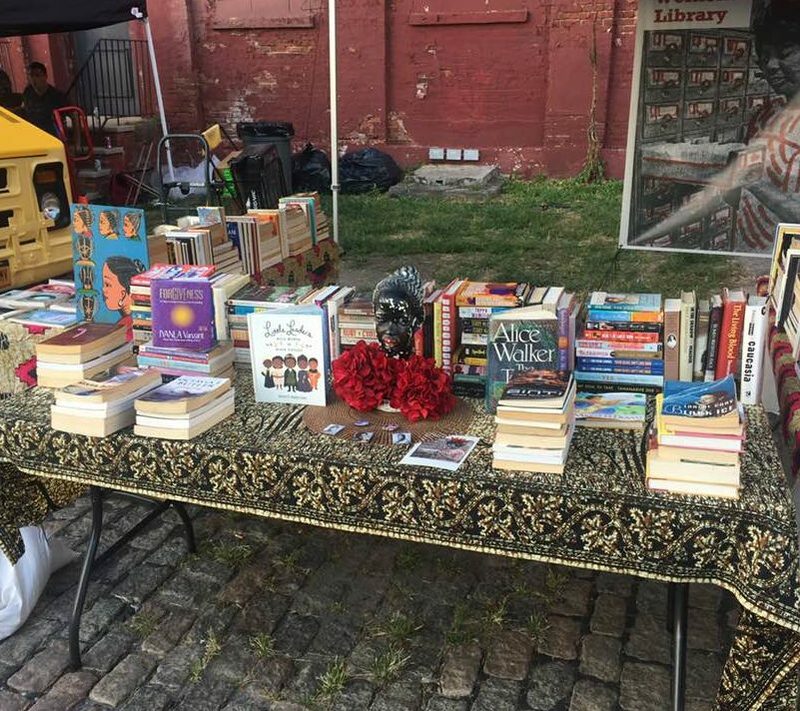 Ola Ronke Akinmowo founded The Free Black Women’s Library, a mobile pop-up library comprised of 1,000 books exclusively by black women. Akinmowo installs the library at various sites throughout Brooklyn, choosing a thematic focus for each pop-up based on a specific genre or author. 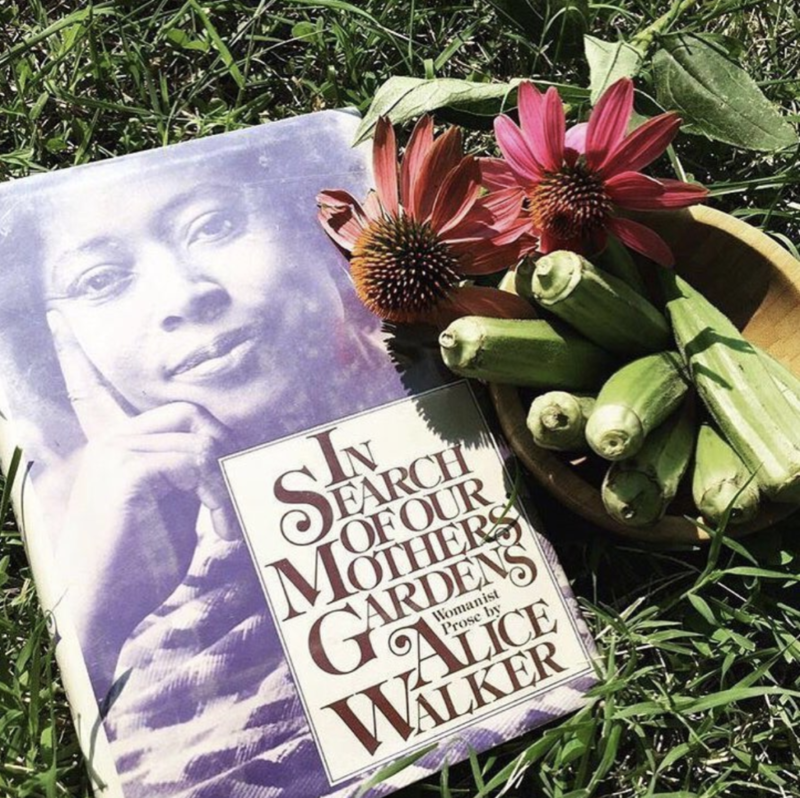 Users can borrow, donate, or exchange books by black women and convene in community conversation around literature and storytelling. 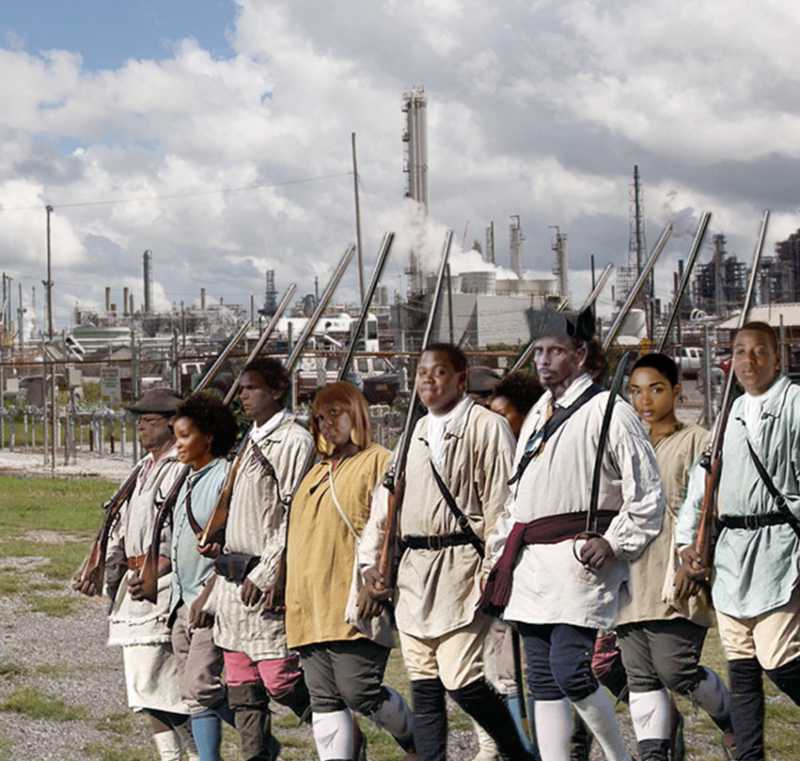 Cristal Truscott’s Plantation Remix is a touring performance series taking place at plantations in the American south. Conceived through a series of collaborative community conversations, planning sessions, and workshops in Houston, the performances are a critical response to the reenactments common in plantation tourism that glorify and romanticize slavery and the antebellum era. Presented as Neo-Spirituals, or acapella musicals, the performances examine the progression of slavery into present day systems of oppression, focusing on community dialogue and healing.